We recently asked the BuzzFeed Community to tell us about the best makeup hacks or tricks they have ever learned. Here are some of their super-smart suggestions. 1. Apply loose powder before applying foundation to help it hold onto oily skin throughout the day. Get more oily skin tips here. 2. And use loose setting powder to prevent your lines from creasing your foundation. I furrow my brow a lot, which makes lines in my foundation. I have found that heavily baking my forehead really helps. After applying foundation and concealer, I dip a Beautyblender into some loose setting powder and stamp it on the areas that crease. I let it sit while I do my brows and eyes, and then I use a big powder brush to wipe the excess off of my face. Get a tutorial for this trick here. 3. Wet your Beautyblender with setting spray to actually mix it into the foundation. It's also a great way to only apply the spray to the areas that need it. Read more here. Get the setting spray from Amazon for $18.74 and get a Beautyblender for $20. 4. Color your lower waterline in with a white eye pencil to brighten your eyes. See it here, and get a white eye pencil from Amazon for $7.99. 5. Blink your lashes on a square of toilet paper to catch excess mascara before it smears all over your cheeks. 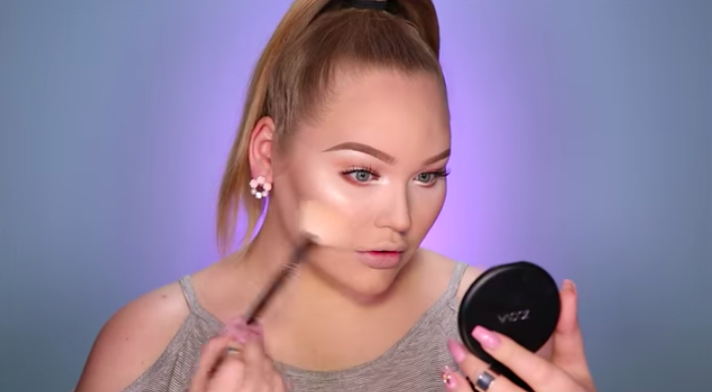 NikkieTutorials demonstrates how to do this trick here. 7. 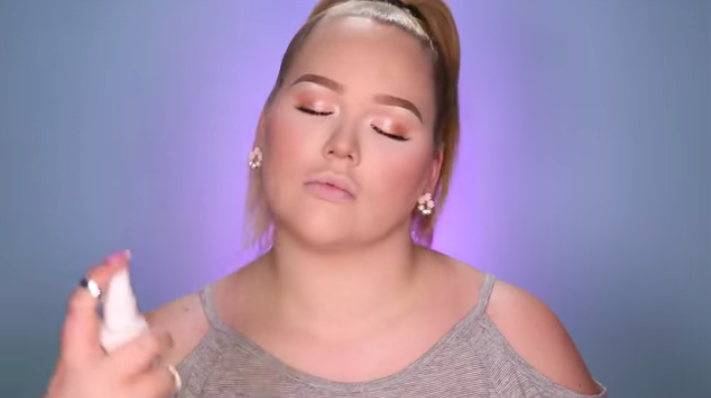 Apply foundation before concealer to catch whatever the foundation didn't cover. 8. And use green concealer to hide redness. If you're all blotchy from crying, press a cold towel to your face to reduce the flushed look. Use green concealer to hide red spots that didn't fade. This hack served me greatly whenever I cried over a "crush" or was just having a bad day. Learn how to effectively apply green concealer here and get green concealer from Amazon for $3.99. 9. Stick your mascara in your bra while you're doing the rest of your makeup to warm it and get a smooth, even coat. Get the mascara from Amazon for $5.03 and the bra for $22.68. 10. 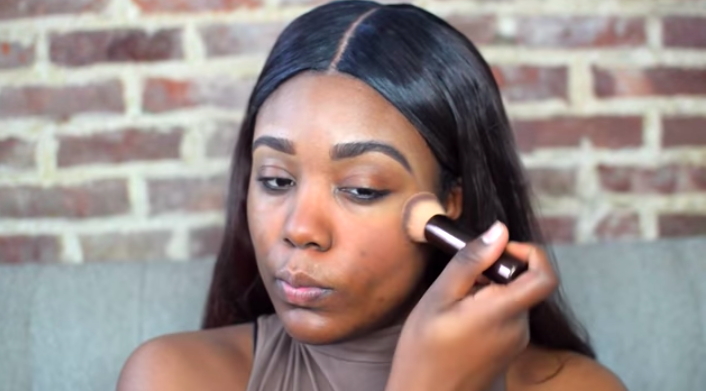 Do your eyes before your face so that you can wipe up fallout without messing up your contour. Watch this (very cool) tutorial here. 11. And save the wands to use as a brush for your brows. 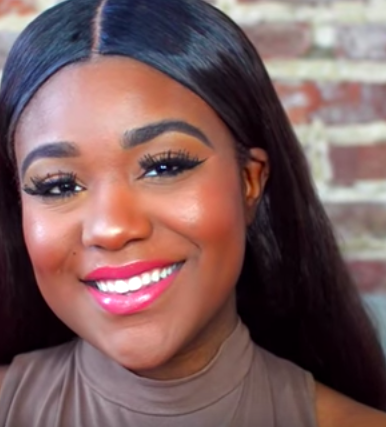 See how to brush out your brows here. 12. 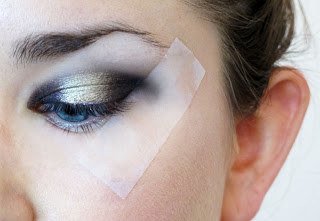 Angle tape under your eyes to get the perfect smoky cat eye without getting black shadow all over the place. 13. Swap out blush for lipstick to get an easier, more controlled blend. Plus, there are a million shades to choose from. 14. Wrap your lips around your finger and slide your finger out to prevent excess lipstick from getting on your teeth. 15. Apply NYX Glitter Primer if your eyelids keep creasing your shadows. It keeps the shimmery shade where you place it and reduces transfer and creasing. It also works great as a base for flakier shimmer shadows. 16. Point the tip of your eyeliner toward the end of your eyebrow and pull to get the perfect wing. 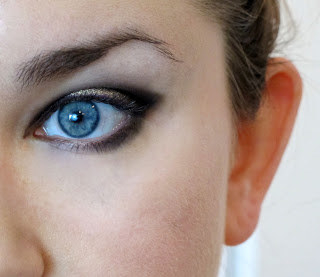 Watch the tutorial here and get the eyeliner she uses from Amazon for $7.59. 17. Cut fake lashes in half to apply the pieces evenly and prevent corner lifts. See it here and get a set of fake eyelashes from Amazon for $8.78. 18. Buy travel-size mascara instead of full-size. For some brands, you'll actually save money in the long haul. I get the benefits of a high-end mascara without having to worry about throwing out excess. It's usually enough for three months, which is when you should toss mascara, anyway. Get it from Sephora for $12 (the full size is $23).